Holly graduated from Virginia Tech in 2015 with a Bachelor’s degree in Finance as part of the CERTIFIED FINANCIAL PLANNERTM Education Track, a CFP® Board registered program. Less than a year after her graduation, she completed the CFP® exam along with the series 7 and 66 licenses. She obtained the CERTIFIED FINANCIAL PLANNERTM designation in September 2018. 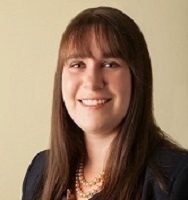 Holly has joined Mason & Associates as an Associate Financial Advisor. She will begin to participate in client meetings, gather and analyze date for annual review preparation, and assist with development of financial plans. Holly has been a lifelong resident of Hampton Roads. Originally from Chesapeake, she currently resides in Williamsburg with her chocolate poodle, Lilly. In her free time, Holly enjoys traveling, crafting, and spending time with her friends and family. She also enjoys being engaged with the community and serves as a board member of the Williamsburg Chapter of the Virginia Tech Alumni Association.